Ronald N. Morris & Associates, Inc. is a Forensic Document consulting firm dedicated to the highest possible standard for service and professionalism. Our goal is to provide clients with timely and accurate results in all examinations and consultations. Mr. Morris has approximately 40 years of experience in the field of Forensic Document Examination in Federal Laboratories (US Treasury Dept. - Examiner of Questioned Documents Office, the Washington Metropolitan Police Dept. Questioned Document Laboratory, and 23 years with the US Secret Service in their Questioned Document Laboratory). He has been in private practice for approximately 14 years and has a well-equiped laboratory of state-of-the-art equipment and years of providing clients with quality service. He is both a nationally and internationally known expert in his profession. 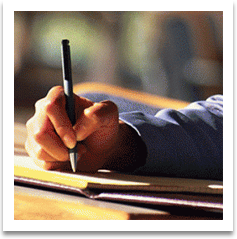 We are confident that Ronald N. Morris & Associates, Inc. can provide you with the expertise needed in several areas of Forensic Document and Handwriting Examination. Interested in submitting a case? Click here for more information. Ronald N. Morris & Associates, Inc. is a Forensic Document consulting firm dedicated to providing the highest quality services and professionalism. © 2011 Ronald N. Morris & Associates, Inc. All Rights Reserved.